Containment Protocols: Due to the nature of RPC-850, permanent containment is impossible. Authority resources are currently focused on locating and containing manifestation events. Termination of RPC-850-1 instances has proved the most effective method of containing manifestation events. As of 2/27/██ MST Sierra-5 "Mischief Makers" has been created to find manifestations of RPC-850 and to terminate instances of RPC-850-1. Description: RPC-850 is a group of 400 rats. 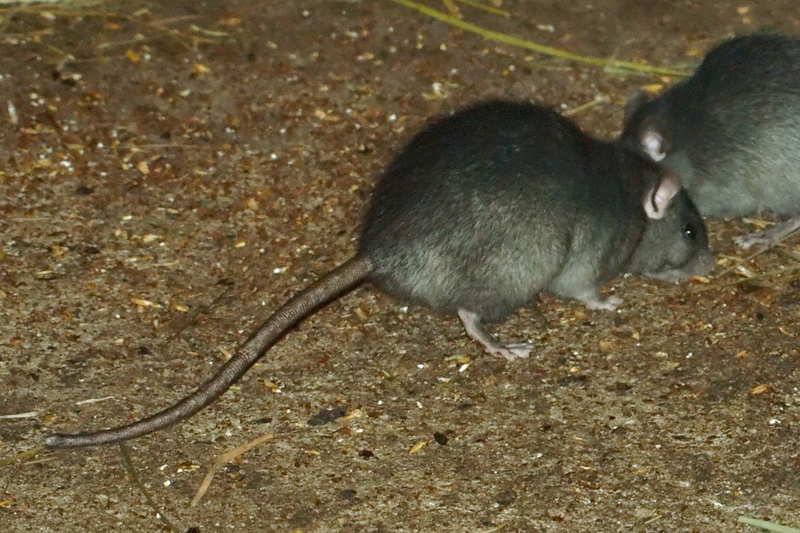 Rats comprising the herd are designated RPC-850-1; They are indistinguishable from individuals of the genus Rattus rattus. RPC-850 manifests in heavily vegetated areas between 23.43689° N to 23.43689° S in any heavily vegetated area once monthly. (See Incident-850-1-1) It is unknown where RPC-850 originates from or when manifestation events began as they have been recorded since the Authority's founding. Rats from RPC-850 have displayed the ability to consume any organic matter regardless of toxicity or digestibility. Rats from RPC-850 have also shown increased rates of consumption, with one instance being able to consume 50 kg of material in one hour. Instances of RPC-850-1 remain constant through manifestation events regardless of terminations. All attempts to capture instances of RPC-850-1 have been met with failure. During a manifestation, even instances of RPC-850-1 appear from any suitable subterranean entrances. Manifestation events last until either every instance of RPC-850-1 is terminated or they have eaten a sufficient amount of organic matter. RPC-850 has eaten an estimated ███████ kilograms of vegetation since Authority observation. Incident-850-1-1: Following an extensive forest fire in ████████, Brazil RPC-850 manifested in █████, California. RPC-850-1 instances ate an estimated 40,000 kg of organic material before being found and terminated. Authority agents ignited the surrounding forest to disguise the event. As of 2/27/██ additional resources have been approved for use in early detection and containment of manifestation events. The other researchers and I have found a cause for concern. RPC-850 is getting hungrier, not by much though. Our estimates put it about 1% more vegetation per manifestation event annually. It's slow, but even at that rate, they'll be eating around ███████ kilograms of vegetation per manifestation by 2100. If we let this run unchecked, it's going to cause a ecological disaster. We need to solve this issue now, before we have an ED End of the World Scenario on our hands.